How to Plan a Trip to Spiti Valley in June? 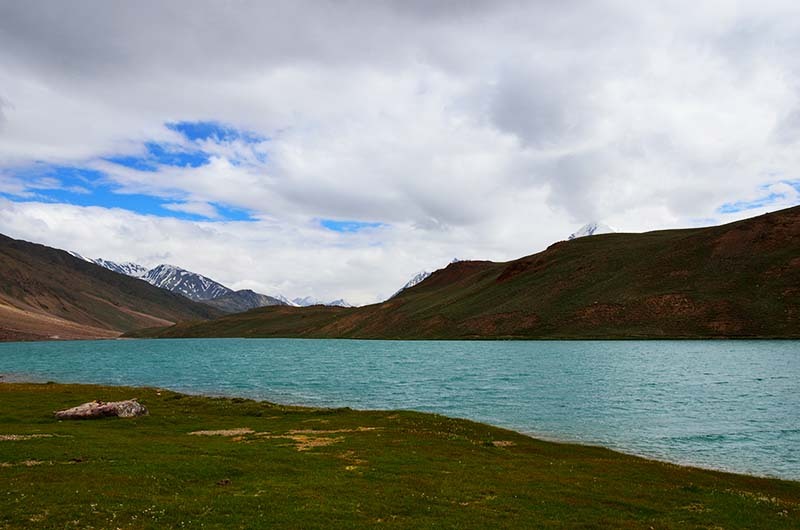 Spiti remains accessible by road throughout the year and people travel here for all 12 months. However, when you talk about the actual tourist season in the valley; it is still the month of June that marks the beginning of it. With the arrival of summer, the Manali Kaza route stands open and this is the time when you can complete the entire circuit. Spiti Valley in June means that the weather will be pleasant enough; all hotels, guest houses and tourist related activities will be operational; all places worth a visit will be accessible; public transport throughout the valley will be available and you can truly have the famed Spiti experience. There are however still a few things that you should keep in mind while visiting Spiti in June. What those are and how you should plan your journey is what I will discuss in this article. Is Spiti valley open in June? The answer is a definite yes. Both the routes leading to Spiti are open in June and so are all the internal routes. Visiting Spiti in June means that you will be able to explore the valley completely; and see all that you can depending on the number of days you have in hand. How to reach Spiti Valley in June? There are two ways that you can enter Spiti valley. One is while traveling from Shimla via Reckong Peo, Pooh, Nako, Tabo and Dhankar. This is the longer of the two routes and from Shimla; it will take you at least 2 days to reach Kaza, the headquarters of Spiti valley. There are however no high altitude passes in between and the increase in altitude is very gradual; due to which this road remains open throughout the year. The other route is via Manali. This route is way shorter than the Shimla route but will take you across two high altitude passes and one of the worst patch of roads you have ever been on. The journey from Manali to Kaza is of about 7 to 8 hours depending upon your speed and a total of 210 kilometers. Within this short distance however are two high altitude passes; Rohtang La and Kunzum La; both of which are well known to receive high amount of snow each year. Kunzum Pass as a matter of fact is one of the earliest passes to get snowfall. It can snow here anytime after September mid; due to which the stretch between Manali and Spiti remains open only for 4 months. It gets declared open sometime in late May or early June and only after this you can complete the entire Spiti circuit. So the route from Shimla to Spiti Valley will be open for the entire month and you can easily plan your journey by either a car, motorcycle or by Bus. The other places en route like Kinnaur and Sangla valley too will be open which I will provide information on further in the article. So yes, traveling to Spiti valley in June, you can either start your journey from Shimla and exit via Manali; or do it the other way around. While preparing your itinerary however, mentioned below are a few things you should keep in mind. I will first mention a tips on how to plan your trip; followed by a few pros and cons of visiting Spiti in June. Do you need any permits for Spiti Valley? One of the most frequent question I get asked by people going to Spiti is regarding the permits needed. If you are an Indian national, there is no permit required for you to visit Spiti. If however you are a foreign national, then you will have to get an Inner line permit from either Shimla, Manali or Reckong Peo. For someone starting from Manali, then irrespective of your nationality, you will also have to get a permit to cross over Rohtang Pass. I have explained the procedure of obtaining both these permits in details at the links below. It depends on what time of the month you are traveling in but snow will mostly be limited to the top of Rohtang Pass and Kunzum Pass. At Rohtang top, you will get ample amount of snow. Like right now, at the time of writing this article in the end of May 2018, there is about 2 to 3 feet of snow at Rohtang top. One the way, the snow walls on both side of the roads are about 10 to 15 feet high at some places. Apart from the top of these two passes, you won’t find any snow anywhere. Chances of a snowfall happening in June are next to none. Pleasant and warm is what will described Spiti valley weather in June the best. Sun however will really be harsh though once you reach the barren of Spiti valley; so ensure that you are carrying some good sunblock lotion. Nights will be still be cold with temperature dropping drastically and close to 5 – 10 degrees. Even during day, it will be warm but you will still feel the chill in the wind. Historically, Kunzum Pass has mostly opened in first 10 days of June. Sometimes it has been sooner and sometimes even later. So the most important thing you must do is to keep a close check on the weather. There are always a lot of speculations about when the pass will open and always several unconfirmed reports. If your plan is to travel in the very first week of June, then it would be better than you prepare your itinerary from Shimla side only; just to be on a safer side. If the route is confirmed open then you can change the itinerary later and include Manali route as well. If you were traveling towards the later part of the month then you are free to include all places in your plan. Entire Spiti as well as Kinnaur and Lahaul valleys will be open; all roads are accessible and you can travel as per your convenience. All hotels and guest houses in the month of June are operational and you will have no problem finding a place to stay; except at Chandratal in first 10 days of the month. Spiti is not really that expensive when it comes to accommodation cost. There are of course several fancy hotels as well on the way but if you were traveling on budget, you will easily be able to find a hotel guest house within your budget. It may however take some amount of negotiating of course. I always advise everyone to not book their stay in advance because you will just end up paying more if you did so. A better way would be to reach your destination, find a hotel per your liking and negotiate an on the spot deal. How will the road conditions be? To be honest, road conditions in Spiti are always bad so you best not get your hopes high in that aspect. Until Narkanda and Rampur, road will be smooth enough however will start to deteriorate after that. After Jeori, the road will start to turn in to a nightmare and the worst patch will be between Reckong Peo and Pooh. From Peo to Nako, the road is actually quite good and will be just about average between Nako and Kaza. The stretch between Karchham and Chitkul is quite bad and broken. Road towards Mud Village is a dirt trail but not that bad and OK to drive on. Kibber, Komik, Langza and Hikkim are all remote villages and roads to these villages are completely dirt trails. Your worst nightmare however is the stretch between Manali and Kaza. It is nothing but a long series of water crossing, slush and a badly damaged road that will probably one of the worst you have ever been on. The only brighter side will be that since you are traveling in early season, snow would not have melted so much and the number of water streams to cross will be a bit less. But it also means that there will be a risk of frost and black ice on the road; specially between Kaza and Manali for which I would recommend that you start a bit late in the day. Wait for the sun to come up before you hit the road so that any risk of black ice would melt away. The daily bus from Shimla to Kaza remains operational all 12 months except for peak winter. The Manali to Kaza bus however will not be operational in early part of the month; and there will also not be any shared cabs plying on the route as well. Once Manali and Kaza route is opened, HRTC surveys the road and starts their bus service only after they deem the road to be safe enough for bus. This usually happens a week or 10 days after the road opens. For more details on how you can plan a trip to Spiti valley by public transport, please read How to Travel to Spiti by Bus and Shared Taxis and Frequency of Bus Service in Spiti Valley. Will acute mountain sickness be a problem? Not if you were starting from Shimla. Mountain sickness becomes a concern when the gain in altitude is sudden; but if your starting point was Shimla, you will be gradually ascending in terms of height so may not face any signs of AMS in Spiti at all. If however you went from Manali to Kaza, then chances are you may suffer from some symptoms of altitude sickness on your first and second day. Think of it this way, one day you are in plains and by evening you reach Manali at 2000 meters. The very next day, you arrive in Spiti at 4,000 meters. The gain in altitude is tremendous in this case and too sudden for the body to handle. This may trigger mountain sickness in which case, plenty of rest is the best thing you can do. For more details on what AMS is and what its symptoms are; and how you can deal with it better; please read How to Handle Acute Mountain Sickness in Spiti. I am adding this point here because people often get confused in these two places. Lahaul is not the same as Spiti. Lahaul valley is the area around Keylong and Udaipur where the Spiti valley is the area around Kaza and Chandratal. If you want to cover both Lahaul and Spiti valley, it all will depend on whether Rohtang and Kunzum pass are open or not. If Kunzum Pass is not open, then you will only be visiting Spiti from Shimla side; and only Lahaul valley if you went from Manali. If both these passes are open then yes, you can visit both Lahaul and Spiti valleys. During day, the temperature will remain around 15 – 20 degrees Celsius. You will be warm enough standing in the sun but will immediately feel the chill the moment you get in the shade. Temperature at nights will remain between 0 to 5 degrees Celsius. Please note though that this is the temperature in Spiti valley and not on other places on circuit like Kinnaur valley. Why you should visit Spiti Valley in June? The biggest advantage of going to Spiti in June in my opinion is of lesser number of tourists. Everyone have their own reasons of coming here but majority of the people come here looking for an offbeat destination. June is really early in tourist season and at this time, you will not find many people around. Due to this only, second benefit will be of course cost factor at hotels and guest houses. Because there are not many customers visiting, your chances of getting a budget accommodation will be high in June. Snow of course will be another added advantage. Travel via Rohtang and Kunzum Pass and you will find ample amount of snow which will continue to melt in the months of July and August. In first 10 – 15 days of June; just when the road has opened, you will find several feet of snow at top of the passes. What’s more, there is a chance that you may even catch Chandratal in a semi frozen state. One of the worst sections of the roads in Spiti is between Gramphoo and Batal; and the worst part about this road are the numerous water streams. Since you are going early in the season; snow would not have started to melt and number of water streams will be limited in number. When it comes to packing clothes for Spiti Valley, the trick is to pack clothes in layers. What I mean by that are clothes that can be worn on top of one another. In order to do that, there are two things that you must keep in mind. First is that they shouldn’t be too tight; and second is that they shouldn’t all either too light or too heavy. Why you would want to do that? Because the temperature of Spiti in June will fluctuate depending on where you were and what time of the day. During noon, you will be comfortable walking around in a T-Shirt in most of the places. But towards morning and evening, you will definitely need a jacket. It will also depend on the place a lot. In places like Shimla, it will be pretty warm but at Chandratal, it will be freezing cold even in June. If you were standing in shade and if there was wind, you will feel the chill but if you stepped in the sun and stayed too long, it will be enough to give you some serious suntan. So pack clothes that you can add in layers if feeling cold and remove in layers if feeling warm. This is what you should be packing. Some of the other items that you may need are as below. Whether to go by car or motorcycle is really a personal choice. They both have their own advantages and disadvantages but both are also equally good. In the end, it will entirely depend on what you enjoy more. With that being said, if you decide to travel by car, make sure you are bringing one that has a good ground clearance; preferably an SUV. It doesn’t have to be a 4X4 but good GC is a must. Do not even think about traveling by Sedans or Hatchbacks like Honday City or i20. If you do, you may risk getting stuck somewhere and some serious damage to your car. In terms of a motorcycle, either one is good for Spiti trip as long as it is in good condition. The larger engine of bikes like Enfield 350 would be an added advantage but even a Pulsar 150CC can complete the trip without any problem at all. What you should take care of however is that if you are riding a smaller engine size bike, ride solo and as light as possible. Do not take any unnecessary luggage and definitely do not bring a pillion along. This will just make the journey difficult for the machine and highly inconvenient for you. Whether you are traveling by a car or a motorcycle, the most important thing to remember is to get your vehicle ready. A trip to Spiti valley will be strenuous not only for you but for your vehicle as well. You must pay close attention to how your vehicle is performing and if required, get it serviced entirely. Replace or remove whatever seems dicey; and ensure that you get these preparations done at least 7 to 10 days before the trip. Then drive around in the city for a week to remove any last minute surprises. Take a look at the articles below to read in details on how to prepare your vehicle and what spares to bring. How to Prepare your Car for Spiti Trip? How to Prepare your Motorcycle for Spiti Trip? Starting from Shimla side, you will keep coming across Mechanics at almost several places en route. Towns like Narkanda, Rampur and Reckong Peo have several full-fledged and authorized service centers. As you cross Recong Peo though, the frequency of mechanics will start to reduce and become scarce around Spiti Valley. This is also one of the reasons why you must get your vehicles well serviced and prepared because out here, even something as simple as a flat tire can become a serious concern if you weren’t prepared. Once you cross Reckong Peo, just assume that you won’t be coming across any mechanics until Kaza; and then none between Kaza and Manali as well. Kaza, however, is the headquarters of Spiti, a well-established town, and has several mechanics available. Like Mechanics, Petrol Pumps too will remain available regularly until Reckong Peo. After Peo, the next gas station is in Kaza only. Once you cross Kaza, there is no other petrol pump until Manali. Do you need to carry spare fuel for Spiti Trip? I would say no unless you were driving a car that was giving seriously low mileage. Reckong Peo to Kaza is 200 kilometers and then Kaza to Manali is another 200. So a tankful at both these towns should be sufficient to get you to the next one. The entire valley of Spiti remains open in June and so do the nearby areas of Lahaul and Kinnaur. What can you see can only be limited by the number of days you have in hand. You can plan a journey on the entire circuit and include as many places as you want in your itinerary. The only area that may remain out of bound could be Manali Kaza route and Chandratal but that too only if the weather that year was extreme and you traveled within the first week of June. I will break the information down by the major tourist towns en route; listing by places in Kinnaur Valley, Pin Valley, and Spiti Valley; and on Manali Kaza route. Shimla and Narkanda in June: Both these towns will be completely open for tourism and accessible in the month of June. Weather at this time of the year will be pleasant at night and pleasantly warm during the day. Road conditions around both these places are good. If you had the time, then Hatu Peak in Narkanda is definitely worth visiting. Sarahan in June: Sarahan too will be open for tourists in the month of June. Weather here will be pleasant during day and a bit cold at night. Bhimakali temple is the prime attraction in Sarahan. There is also a Bird sanctuary here that is worth a visit but may be closed for tourists towards end of the month. Sangla in June: The town of Sangla will remain open in June. Weather will be pleasant during day and cold at night. The road between Karchham and Sangla is a bit bad at some places. Chitkul in June: The road from Sangla to Chitkul is a mix of bad and good but you will be able to reach Chitkul easily. Natural beauty and the tranquility of the place is what makes Chitkul worth visiting and including in your itinerary. There is a day long trek from Chitkul which can bring you to some amazing vistas. If you can, then plan a day stay in Chitkul and head out on the trek. Kalpa in June: Kalpa in fact remains open for tourists throughout the year except for some days in winter when heavy snowfall may block the road between Reckong Peo and Kalpa. In the month of June however, you can easily reach Kalpa. The view of majestic Kinner Kailash peaks is what makes this town a great destination to visit. Pin Valley remains open and accessible in the month of June. There are a few small guest houses and home stays here that you can spend the night at. To get to Pin Valley, you will have to take the diversion at Attargo Bridge which falls a little after Dhankar. Mud Village is the place where you will find accommodation in Pin Valley. The road from Attargo to Mud Village is in a bad shape and it will easily take you at least 2 hours to complete the journey. The mesmerizing views of Pin Valley is way different than what you would have seen so far in the trip. It is definitely worth adding to your itinerary if you can. Nako, Tabo and Dhankar in June: All these three towns fall while on the way to Kaza and they will all be open. Accommodation will be available at all three places. Kaza in June: The town of Kaza is the headquarters of Spiti valley and this small town in fact remains busy throughout the year. If you arrived here in June, you will find plenty of tourists around and will easily find a place to stay. Kibber /Komik / Langza / Hikkim: These are some of the remote villages of Spiti valley and are very scenic. If you have time, then definitely stay for a day in Kaza; and explore these tiny hamlets. Accommodation in these villages is available in form of paying guest only. Now this is where it may get a little tricky. The route from Kaza to Manali usually opens by Mid may each year but this is highly dependent on the weather and how fast BRO is able to clear the snow. Sometimes the opening does get push towards first week of June. So before you finalized the itinerary, please find out how the weather was trending and how soon was the road going to get open. You can take a look at the forum thread Lahaul & Spiti Valley Road Status where I continue updating the status of the road as they year progresses. Pretty much the same deal as Manali Kaza route. In fact, the opening of Manali to Kaza road depends on the opening of Kunzum Pass. It usually is open by May end but may get delayed to early June if there was too much snow at the top of the pass. The road to Chandratal as well is open as soon as Kunzum Pass is freed of snow. There is however always a delay of about 10 days from the date the lake is open till when you can find accommodation here. Once the road has been declared open, the camp site owners survey the area before setting up their camps. The whole process of getting the sites ready for tourists takes about 10 to 14 days. During this time, you can visit Chandratal but finding a place to stay here will be a challenge. You can either carry your own camping gear; or make the visit to the lake a day trip from Kaza; or go back to Batal and stay there at the Chadar tent. The entire drive on the Spiti circuit is in fact an adventure activity. Apart from visiting all the other mentioned places, trekking is another activity that you can indulge yourself in. There are some great trails from Chitkul, Pin Valley and Kaza that you can venture upon if you had the time. Night skies are a sight for sore eyes in Spiti and if you had even the slightest of interest in photography, you would love to get some great night captures of milky way and star trails. The bird sanctuary at Sarahan will appease the birdwatchers. The joy ride from Manali to Kaza on notorious Batal Gramphoo road will give you plenty of chances of off-roading. Camping of course is available at Chandratal and is an experience in itself. Tsheshu Festival is celebrated in the month of June at the monasteries of Shashur, Gemur, Kye, Kardang, Tabo, and Mane. The prime attraction of this festival is the devil dance performed by Lamas wearing colorful attires and masks of different birds and animals. It is also referred to as Kye Chham festival. For complete and detailed description of festivals of Spiti, please read Festivals in Spiti Valley – A Colorful Celebration of Life. Trekking is one of the most common adventure activities that people look forward to while visiting Spiti. There are a lot of trek organizers are however available in Shimla, Manali, and Kaza; and depending upon your own choice, you can venture upon any of the trails. Some of the most popular starting points for trekking are Chitkul, Sangla, Pin Valley, and Kaza. In fact, even if the road to Chandratal was not yet open, you can still contact a tour guide in Kaza and do a couple of days long trek to Chandratal. This will actually apply irrespective of your dates of travel. A trip to Spiti valley will always have an angle of uncertainty to it. It is mostly because of bad roads and unpredictable weather that can force you to stay back at any of the place en route and prolong your journey. If that happens, then you should be able to afford to do so without any running into any major problem back home. If you were planning to go camping, then you can do that as well in Spiti. Campsites are available at Sangla, Rakcham, and Chitkul in Sangla Valley; and then at Chandratal and Batal in Spiti. As you drive through, you will notice camps at several other places as well en route; but the ones I mentioned are the most common camping grounds. If you were bringing in your own gear, then you can pitch your own tent too but please do not do it in the middle of nowhere. Camp near an existing campsite or near a local Dhaba. You can pay the locals a small fee to give you a spot to camp. The villages of Kibber, Komik, Langza, Hikkim, and Pin Valley are the most popular self-camping sites. Also Read: How much a trip to Spiti Valley by Bike Cost? Last but not the least; let me also suggest an example of an itinerary that you can follow for visiting Spiti valley in the month of June. For the sake of the itinerary below, I will assume Delhi as your starting point. If you were, however, coming from a different city, then only the journey for the first and last day will be different. Rest of the details will still apply. I will suggest two different itineraries. First one will have you traveling on the entire circuit; starting from Shimla and ending at Manali. But in case the Manali Kaza road was closed, then I will mention another itinerary for traveling to Kaza via Shimla and returning home the same way. I hope the information above on visiting Spiti valley in June was of help. If you have any further questions; please feel free to ask in the comments section below and I will be glad to answer. Alternatively, you can also post a query at our Community Forum and either I or any other member will assist in any way that we can. I want to travel for 10 day approx from public transport. Take a look at this post please. Should be able to help answer your questions. Yes you should. It will be open by then. I am planning to go to Spiti in the middle of June (approx 15th June) via Shimla and exiting via Manali. It will be a 10-day trip. Please suggest. It is doable Sankhayan, if that is what you wanted to ask. I am planning to visit from 15th July to 21st July, starting from Shimla and exiting at Manali. How bad is the road condition and it is advisable to visit the valley at this time? Hi Rohan – The road between Manali and Kaza is in a terrible state, rest of the circuit is mostly good and average. And yes, you can go at this time but be prepared for monsoon please. We will reach Kaza on 29th June.We will stay in Spiti valley from 29th June to 4th July. All the arrangement has been done. Can you please advise me is there any raining chance at that time? We will come from Manali side. So is there any rainfall chance in Manali / Rothang? Hi Kanwar – Sorry I did not reply to your comment. I was myself traveling at the time when you asked this question. Sorry brother. I am also traveling on 8 th from Shimla. There should not be an issue of stay. Rana.shubham1191@gmail.com. I am planning to visit Spiti valley in first week of June and will be reaching Kaza on 5th. Is Kunzum pass and road to chandrataal open . What is night temp. in Kaza and Chandrataal. Hi Rajiv – Sorry I did not reply to your comment. I was myself traveling at the time when you asked this question. Sorry brother. We are 2 couples and my 2 year old daughter going to spiti in june by our own vehicle. People have advised us to book our stay in advance but you say that we will get budget hotels if we go for on the spot booking. What shall we do? Hi Deepak – Sorry I did not reply to your comment. I was myself traveling at the time when you asked this question. Sorry brother. Four adults are reaching delhi on 14th June morning by flight. I am considering below two options. Delhi- Shimla Day volvo bus and next day onwards Hire taxi from shimla till manali and from manali to delhi overnight volvo bys. Shimla to manali car cost around 30K and four persons shimla- delhi and manali-delhi Bus tickets cost around 10k so total 40K. Option 2: Take taxi from delh- shimla- spiti- manli- delhi. Not sure how much above route car rental would be. Please share comments apart from costing which one will be better in terms of time, comfort and outing..
Hi Rohan – Sorry I did not reply to your comment. I was myself traveling at the time when you asked this question. Sorry brother.